Drinking is a pastime enjoyed by millions of Americans each year. However, alcoholism is also a condition that countless drinkers suffer from. 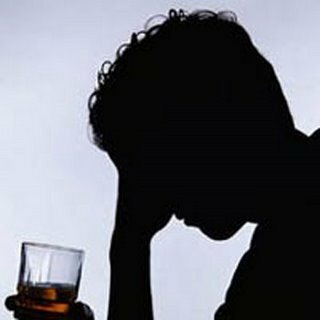 Alcohol addiction can not only be debilitating, it can be life-threatening and greatly stultify the lives of those afflicted with the disease. Treating alcohol addiction and maintaining a sober lifestyle are keys to the recovery and well-being of alcoholics. It is not an easy task, but there are resources available to help and treat those in need. 12-step programs have been an integral part of the recovery process for decades. Participants attend meetings with fellow alcoholics and work programs comprised of twelve steps in order to achieve and maintain sobriety. Participants often choose sponsors (fellow members) to help guide them through the process. Rehabilitation is one of the primary methods by which those suffering from addiction to alcohol seek assistance with sobriety. Most rehab centers treat both alcohol and drug addiction. Rehabs offer live-in treatment for alcohol dependency. Patients become involved in a number of activities, including one on one counseling and group meetings. Many patients entering rehab will experience a rough first few days, as it is often the case that those entering these facilities are not sober, thus, they will go through detoxification while on-site. One of the more significant elements of rehab programs is that the confinement of the facility does not allow the patients access to alcohol. The patients are treated by trained and certified professionals during their stay. The common school of thought amongst industry professionals is that rehabilitation centers are simply not enough. That is where sober living homes come in. Sober living houses or homes offer patients who have finished rehab, a safe, sober environment in which to live before making the full transition back to society. Sober living homes offer a group living environment that is quite similar to a rehab center, only they are usually residential living spaces where the patients have greater access to the world outside. Sober living homes are drug and alcohol-free and the patients are allowed to leave the location with varying restrictions. These restrictions usually involve a curfew law for residents. Residents often participate in the same kinds of group meetings as in rehab. The major benefits of sober living homes are that they offer recovering alcoholics a smoother transition back to society, and they provide a sober environment that is comparable to everyday life, rather than the heavy treatment-based environment of rehabilitation centers. Residents are also encouraged to attend 12-step meetings during sober living. Another activity common to these homes is work. Patients are given jobs usually outside of the home where they gain the satisfaction of work while in recovery. While these homes appear to offer a more relaxed environment than rehab centers, this is not necessarily the case. Patients are tested on a regular basis, usually when entering the house from the outside, for alcohol or drug use. Upon returning to life after rehab and sober living, recovering alcohol addicts may not always face an easy road. Maintaining sobriety is a difficult task for many, given the variety of “triggers,” people, events, or places in the world which can stimulate a drinking relapse. This is where 12-step programs play a major part in recovery. But the 12-step world is not the only option for recovering alcoholics. Many people maintain sobriety through other methods, including plain old abstinence from drinking. Sometimes, simply removing one’s self from alcohol completely can be a viable method of achieving and maintaining sobriety. That is to say, staying away from alcohol altogether, whether it involves social gatherings or other functions. Nevertheless, alcoholism is a strong and powerful disease that usually requires a great deal of help. This assistance comes in the form of the aforementioned 12-step programs, rehabilitation facilities, and sober living homes. The help is out there, and the treatment of alcohol addiction can be a successful one, if help is sought at the right time. If alcoholism is not treated and is allowed to progress, the health risks are severe. Alcoholism kills thousands of Americans each year. It can destroy lives. Simply put, the choice to seek and maintain sobriety can be a life-saving one.